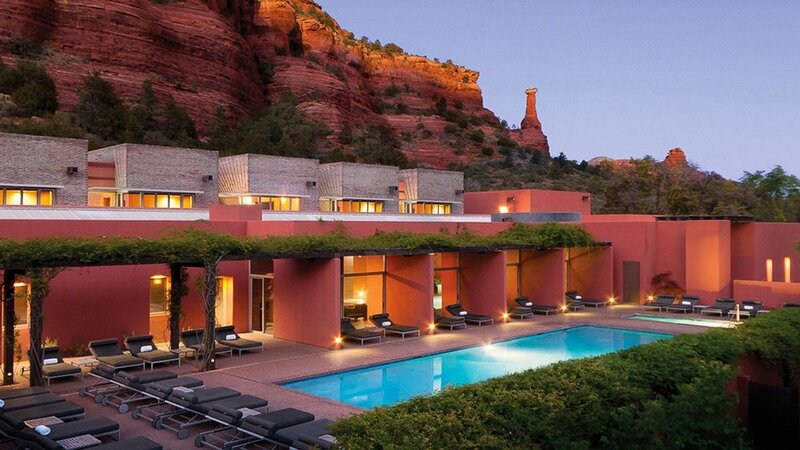 Passported's Brandi Wilson is back with her insider guide to Sedona, Arizona. Read on for where to sleep, eat and play in Red Rock country. 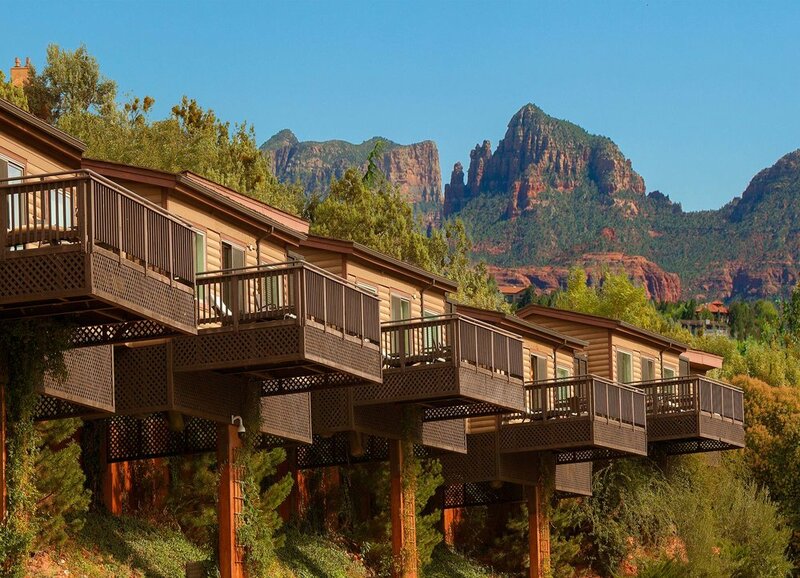 In the heart of Red Rock country on the banks of Oak Creek, this sprawling resort is a mix of luxury cottages and lodge-style guestrooms, all overlooking the sycamore-strewn grounds, quiet creek or showstopping Red Rocks. For family trips, the Creekside Suites have Queen sofa beds in separate living rooms, but other room amenities, including wood-burning fireplaces and outdoor cedar log showers, invite romantic trips a deux. All renovated rooms show off a smart, Restoration Hardware–inspired look and have home comforts like coffee makers and BeeKind bath products. Harvest-style Etch restaurant is open for breakfast, lunch and dinner, while the magical Cress on Oak Creek restaurant offers alfresco dinners of seasonal, often foraged, fare overlooking the creek. Spa lovers can book a treatment in the unflashy wellness center, or find peace, quiet and relaxation during a complimentary yoga class, on strolls in the pristine grounds, or stargazing after dark. A base for admiring and exploring magical Boynton Canyon, Enchantment is a family favorite for its wealth of outdoor activities (hiking, yoga, biking, golf and more), dedicated kids' club for youngsters aged 4 - 12, range of dining options, and Southwestern-style Suites and Casitas. Pool Suites have two bedrooms with private hot tubs and decks overlooking the red rock formations, or go for a smaller Casita Studio with two Queen beds, wood-burning beehive fireplaces and small kitchens. Interiors don't push any style boundaries and can feel a little too polished and dark in places, but the point of a stay here is the spectacular setting, and Enchantment puts the canyon on full display at every opportunity. Dine on creative local fare (made with indigenous ingredients) at Che Ah Chi and admire the red rocks through floor-to-ceiling windows, or order the signature Prickly Pear margarita on the deck of the View 180 bar — named, of course, for the sweeping red rock vistas. Opened in 2012, this upscale, spa-focused addition to Enchantment requires set three-, four- or seven-night stays so guests can fully enjoy the award-winning wellness center, treatments and great outdoors. All packages include three meals and two customized spa treatments per day, so there's plenty of downtime to enjoy the fab pool, spa cuisine and juice bar, outdoor yoga, meditation sessions and much more. Eat Don’t miss dinner at L’Auberge de Sedona’s signature restaurant, Cress at Oak Creek, where the dining platform extends right over the creek, creating a magical lantern-lit lagoon. Or, for a delicious healthy lunch or smoothie, local vegan chef, Chris Holden, recommends the Chocola Tree’s unique café and shop. Hike Get up early to watch the sunrise and hike around Airport Mesa. It sounds bizarre, but the spectacular trails and 360-degree views from this hilltop airport will take your breath away. Or contemplate your aura on a hike through red rocks and waterfall creeks at Cathedral Rock, Little Horse or West Fork trails. Also, pile into a Pink Jeep Tour to get rough and rugged 4x4 style, forging streams and and exploring Anasazi ruins. Shop Swing by the local favorite shop, Mystical Bazaar, to have your aura photographed or your cards read and pick up some crystals as mementos of your stay in this spiritual mecca.